The well established Thai Square Spa has recently located to a new state of the art and more spacious site on the fashionable Northumberland Avenue. A stone’s throw away from Trafalgar Square and the flagship Thai Square restaurant, Thai Square Spa offers an oasis away from the hustle and bustle of London. Housed within a converted Turkish Bath, the spa is opulently decorated with Thai silks, traditional artefacts and exotic murals. Tones of gold and lavish adornments on the walls give the space a rich and luxurious décor while the peaceful, relaxed ambience creates an atmosphere of tranquillity. 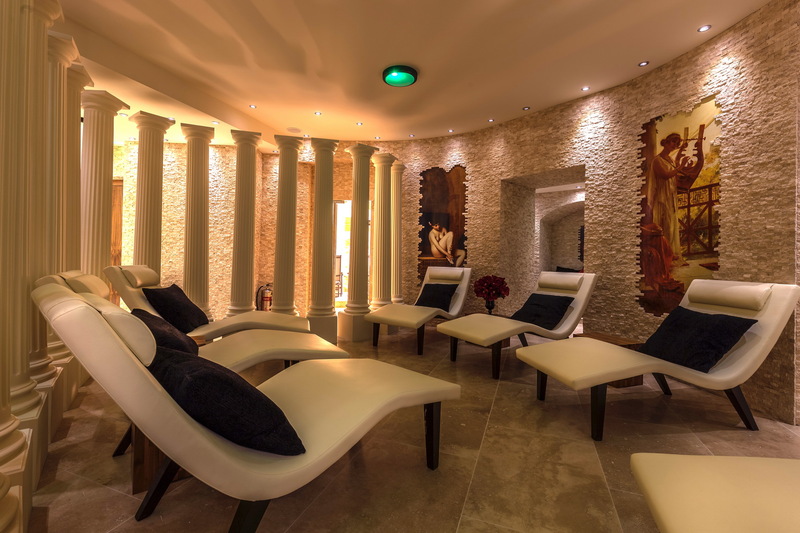 The vast space spans across two floors and the spa boasts an impressive five massage rooms and a further six treatment rooms as well as a hair salon and first class spa facilities. Thai Square Spa is complete with its own Jacuzzi, sauna and steam room available for use with selected packages and treatments. For the ultimate treat, I’d suggest booking the VIP Suite, the lavish space comprises of its own private relaxation zone and steam room. The extensive spa menu can be tailored to create bespoke packages and guests are given a fluffy robe and slippers as well as Thai herbal tea as part of the experience. I’d recommend trying one of the packages; it’s the best way to sample traditional Thai massage whilst combining it with a relaxing head massage or even an energising body scrub for example. The advanced facial treatments available can help to give dull skin its glow back and for a slightly more extravagant treatment, the Golden Maharani Facial proves very popular and uses a 24 carat gold collagen mask to rejuvenate the skin. Taking inspiration from the Orient, each treatment has a Thai twist such as breathing exercises to end treatment giving the whole experience a slightly more authentic feel. Many of the rituals are designed to promote well-being and improve circulation leaving clients at ease and a sense of heightened relaxation, the result is flawless. To continue the experience at home, Thai Square Spa has an exclusive in-house brand of products, iMantara, developed to create an at home spa regime. Thai Square Spa is open daily Monday to Thursday from 9am to 9pm, Fridays 9am to 8pm, Saturdays 9am – 7pm and on Sundays from 11am to 7pm.